Great Sand Dunes National Park - Simply Amazing! 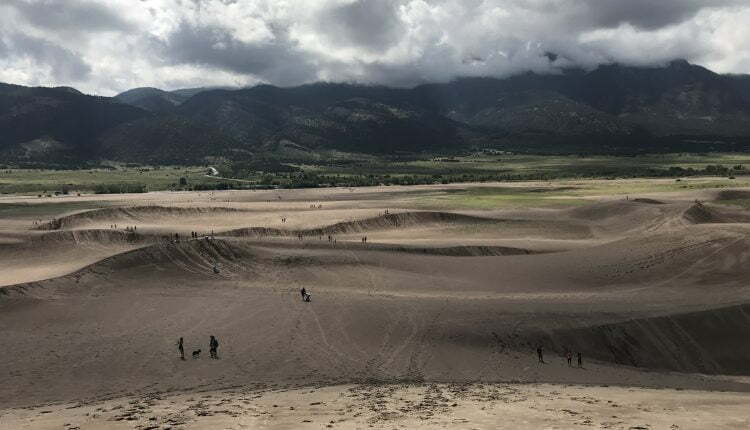 Home North America Colorado Great Sand Dunes National Park – Simply Amazing! 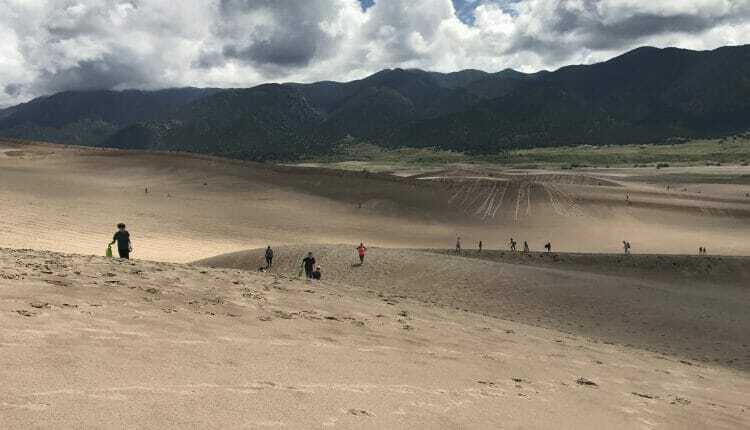 Great Sand Dunes National Park – Simply Amazing! There seems to be some gravitational force between mountains and sand dunes that naturally calls my name. I can always hear them whispering and tugging at me to come back for another visit every time I look at the photos and remember my fond visit of Great Sand Dunes National Park. Where else in North America can you see sand dunes hundreds of feet tall surrounded by snow-capped mountains as far as the eye can see? Welcome to Great Sand Dunes National Park and Preserve. Originally a National Monument preserved by President Hoover in 1932 the park earned its full status on September of 2004 making it one of the newest National Parks we have preserving over 65 square miles of this amazing habitat. These dunes in Colorado are simply massive – The largest dunes in North America. When you’re out exploring on this beautiful sand park you’re always amazed that when you hike one you see another just over the horizon that is taller and bigger. It’s striking out here! I was humbled and amazed seeing the work of erosion, wind, and abrasion sculpting these massive dunes. Mother nature packs so many surprises and these dunes are one of her best. As you drive into southern Colorado meandering around the growing mountains, you enter into the vast San Louis Valley in eastern Alamosa County that was once a glacial lake. It’s here where out in the distance you start seeing some fuzzy hills that slowly open up to show themselves as the Great Sand Dunes of Southern Colorado. As you get closer you’re all but consumed by the magnitude of the dunes calling you out to explore them. Why does this geological marvel exist? What caused these massive dunes out here? By a miracle of nature, the dunes formed from natural causes and winds that prevail toward a low curve in the Sangre de Cristo Range. It’s here where all the sand from the valley accumulates and causes the dunes to grow vertically. It’s quite spectacular the number of physical forces at work in mother nature to grow the neighboring mountain ranges and wear it all down to form the dunes. Stop in, check out the displays and the gift shop and top off water or use the clean restrooms. 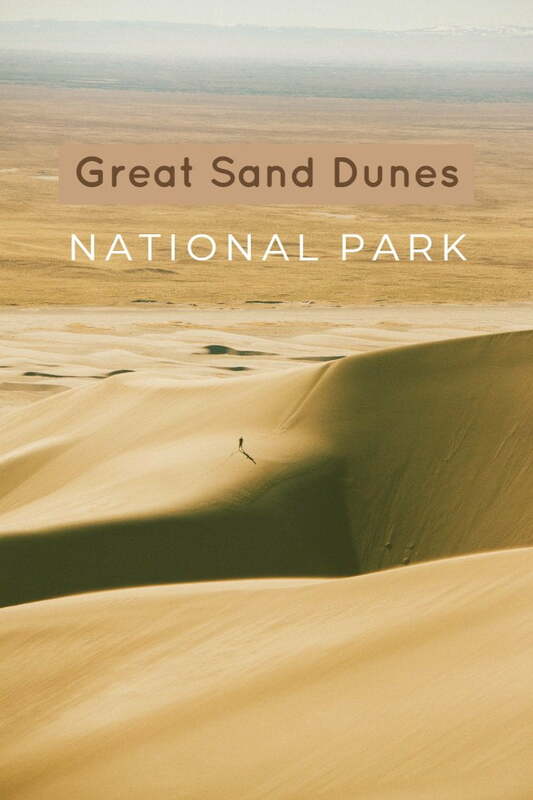 They have a few displays showcasing some of the local habitat and animals you may see on the dunes, and the park rangers are super knowledgeable to help you decide on what to do for your visit to the park depending on time/season. Be sure to ask for a map, inquire about the weather and see what advice they have for you on your trip and time you have budgeted. The shop was fun to explore and I grabbed some great books on the history of the park and of course got the kids their National Park Pass stamped. I suggest no matter how much time you have at the park that you get out and explore the foothills of the dunes. Once you’ve had some time to get water and check out the visitor center, drive up to the parking area along the river and head out to the dunes. 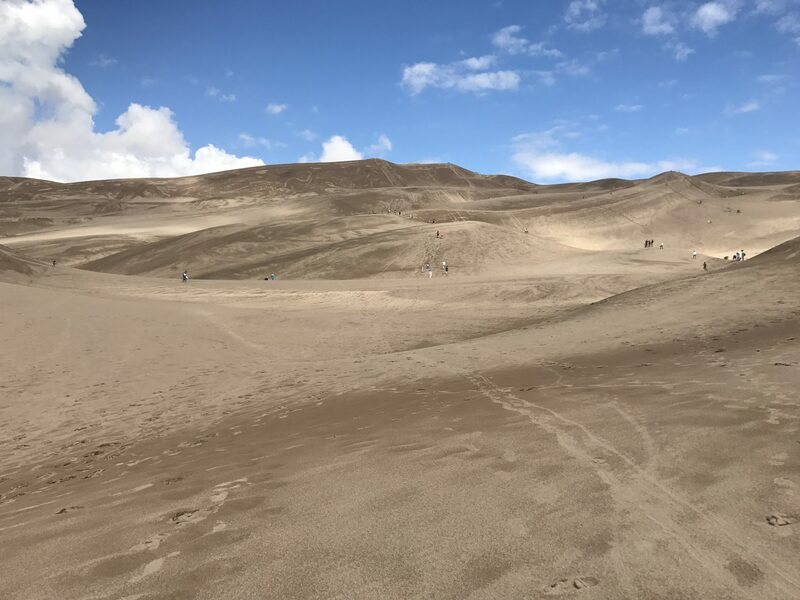 Even if you don’t have the time or energy to hike up these massive sand dunes, just crossing the creek will get you out into the softer sand where you can take your shoes off and soak in the view and experience the dunes first hand. 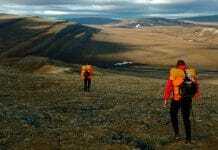 For those who want to explore off further, the secret to success is if you just follow the trail of people ahead of you, you will quickly learn how to best hike up these meandering piles of sand. The ridgelines prove to be the best way to climb up and around as trying to climb up any of the dune faces proves futile. Climbing the dunes can be somewhat tricky – it’s a bit of a hike to some of the nearby tall dunes but undoubtedly worth it for the view. Everyone I saw hiking around and exploring the dunes had a smile on their face just as I did. Not just the smile as if we’re all kids in the largest sandbox of North America but the smile of humbleness and humility of being amongst these giants of nature. 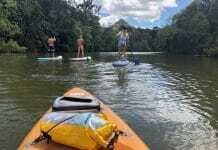 What a way to spend a day! If you’re here for a day-trip, Bring plenty of water for each person in your group. I recommended cool breathing outfits that you don’t mind getting wet if you want to splash around before dry season (mid-June). We completely lucked out with our trip to the Dunes. There was a light rain storm the night before which kept the sand firm and packed and kept the water flowing in the seasonal stream up front. Show up early – the morning dew or morning rains make getting up the dunes much easier! I don’t think we would have made it to the first foothill dunes yet alone up to the top of some of the larger dunes if the sand hadn’t been wet and packed. In the peak of summer temperature on the sand can reach over 150 degrees so plan ahead! 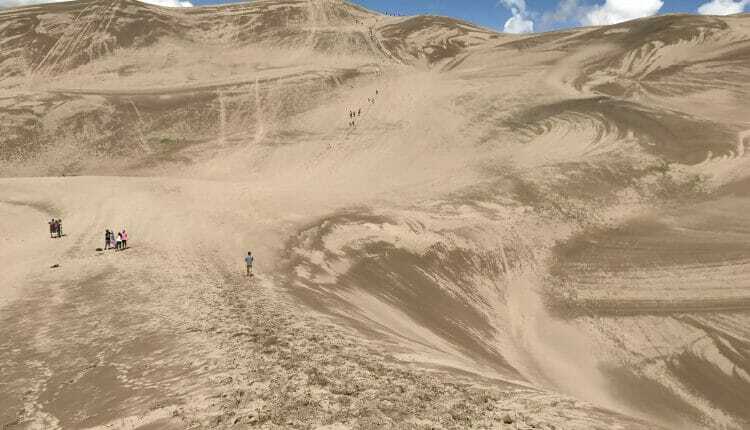 Hiking the dunes is a beautiful and challenging experience. 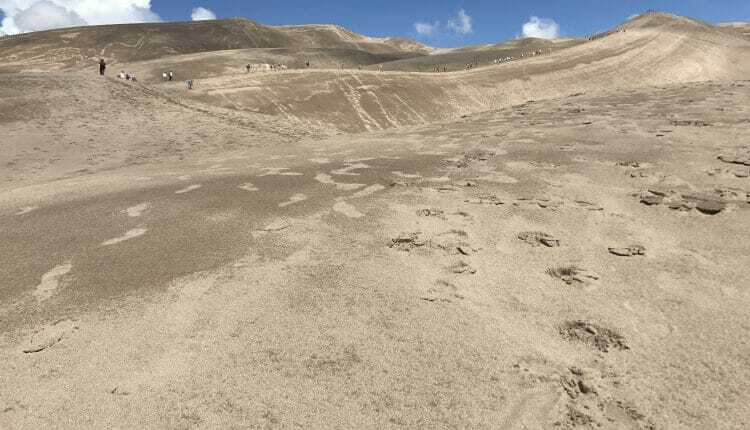 If the day is hot and dry, the sand can be rather cumbersome to walk on, but if you start after a light rain shower or a morning dew, then the dense sand will allow you to go much further and climb to some of the summits. 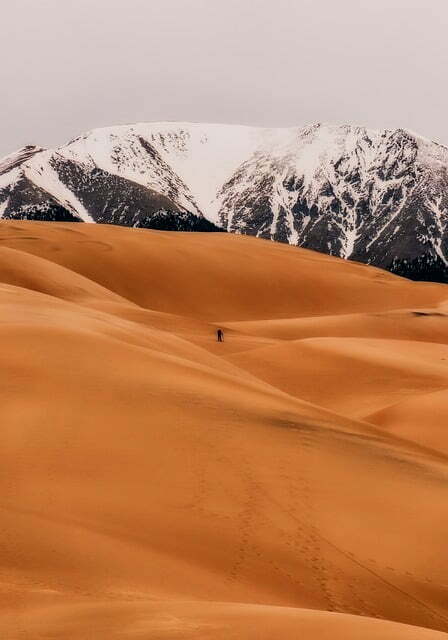 The secret is to simply follow the ridges (and the crowds) as the best means to climb the dunes. Once you’re on the top of one dune, you can turn around and see MORE behind you. That ridge of trees just beyond the sand is the Medano Creek – a season river that flows from snow melt. I was amazed at how these dunes just go on forever. Pictures don’t do it justice. This is mother nature at work and you’re here being able to experience it first hand. What a sight! Camping is available at the park in designated camping areas. The campsites had bathrooms, water, and some low vegetation providing shelter. If you’re looking for fulls service campsites be sure to reserve your campsites in advance as the park will fill up. We didn’t stay in the park since they were booked full with a scout troop during our window. Primitive camping is allowed on the dunes with a permit. We “kamped” at the Alamosa KOA for two nights during our stay at Great Sand Dunes National Park. Alamosa KOA has nice camp setups, Kamper Kabins if you wish to stay in a cute affordable cabin and plenty of RV spots for those in RV’s. We enjoyed the friendly staff, clean showers, washing & dryer facilities and a dip in the pool. They also had a pizza shop in the camp store when we were there and kids had access to free popcorn which they enjoyed immensely. 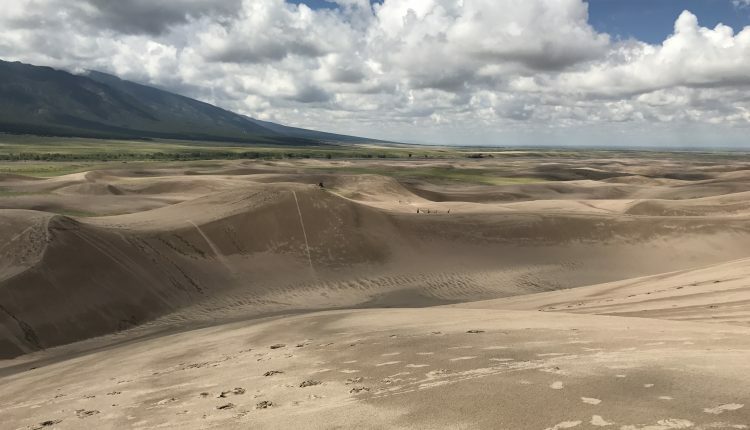 Great Sand Dunes offers a 22-mile unpaved road with multiple river crossings and a few miles of sand crossing to reach Medano Pass. This road is for street licensed 4×4 vehicles, motorcycles or bicycles only. During our visit, the off-roading trail was closed as there was an active recovery incident going in which a vehicle had gotten stuck in the sand, so driver beware. It is for 4×4 vehicles only. If you plan on off-roading here, I would call the ranger station in advance to check on weather/conditions. At the time of our visit there were no rental options available however if you stop at any of the tourist areas that have pamphlets there may still be companies offering Jeep rentals to rent and explore these trails. No motorized vehicles are allowed on dunes. You can click the “Directions” link on the map below to map from your location. Question: Are there any hotels near Great Sand Dunes National Park? Answer: Great Sand Dunes Lodge is the closest Hotel to the park but the odds are unless you book early, it will be full. For Hotels, Alamosa is the closest city and it will be about a 45-minute drive to get to the park. Question: Can you camp on the dunes at Great Sand Dunes National Park? Answer: You must obtain a backcountry permit to camp on the dunes. These permits must be obtained in person during backcountry office hours. There are multiple full-service type campsites available on the main park access areas. 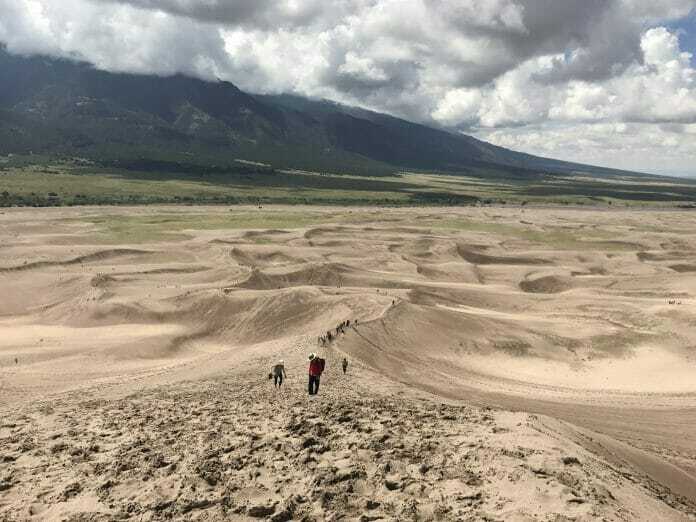 Question: Are dogs permitted in great sand dunes national park trails or backcountry camping? Answer: No, dogs are not permitted in backcountry trails or backcountry camping. Question: When is peak season at Great Sand Dunes? Answer: Peak season is during early spring through June when Medano Creek’s is flowing through the park and holiday weekends. Question: When is the best time to visit Great Sand Dunes National Park? Answer: If you plan on hiking, camping or a multi-day trip then early spring affords you the most time on the park with better temperatures and abundant access to water (too cool off or filter for drinking). If you’re just in for a day visit then arrive early in the day to beat the sun. We lucked out and had a morning rain shower just before our arrival which packed the snow and made it amazingly easier to trek up and explore so if you can time early, just after the rain and before the heat of the afternoon sun you will be able to explore the dunes for a bit and enjoy yourself. Once the dunes heat up they get extremely hot and the sand becomes very difficult to walk on. Bookmark this on Pinterest and share it with your friends! Let them know about this must-visit National Park!